Altes Rathaus is the historic town hall of Lindau, an old city at the Bodensee in the south of Germany. Here it is seen from the Bismarckplatz. Lindau is a major Bavarian town and an island on the eastern side of Lake Constance, a freshwater lake called Bodensee in German. 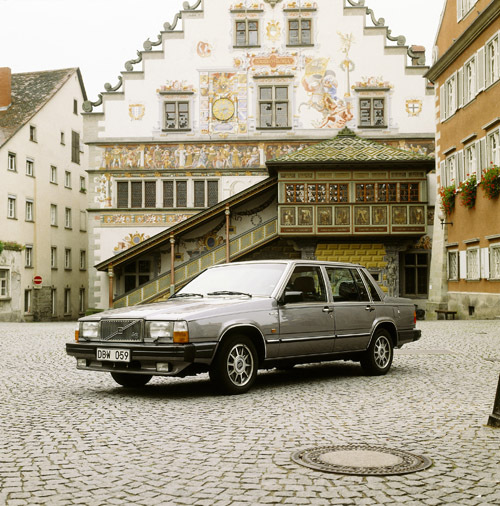 It is the capital of the Landkreis or rural district of Lindau, near the borders of Austria (Vorarlberg) and Switzerland (St. Gallen and Thurgau). 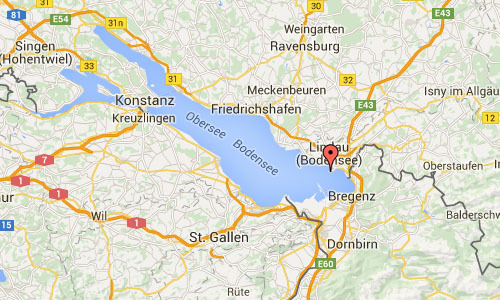 Lindau is part of Bavarian Swabia. The coat of arms of Lindau town is a lime tree. The historic town of Lindau is located on an 0.68-square-kilometre (0.26 sq mi) island, which is connected with the mainland by a road-traffic bridge and a railway dam leading to Lindau station. Many would like to see old houses could tell – have all the things that saw their windows and seen the rooms. 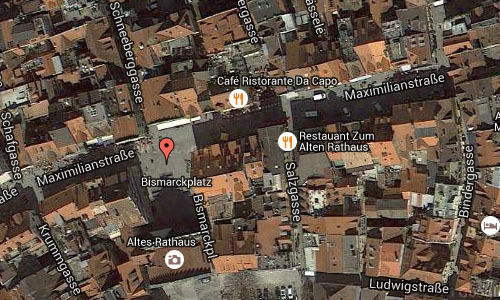 Lindau has such a building: the Old Town Hall in Maximilianstrasse and Bismarckplatz. 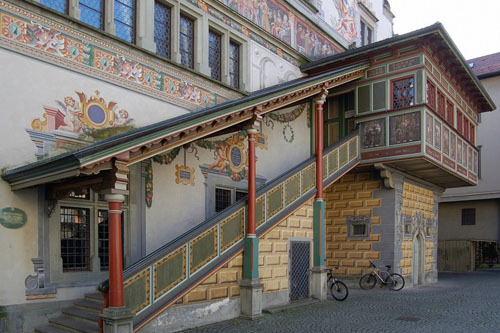 Gorgeous, proud and colorful, it is at the heart of the island, its large wooden staircase inviting facing toward Bismarckplatz – as it really urge you on, and to discover a piece of history in Lindauer history. 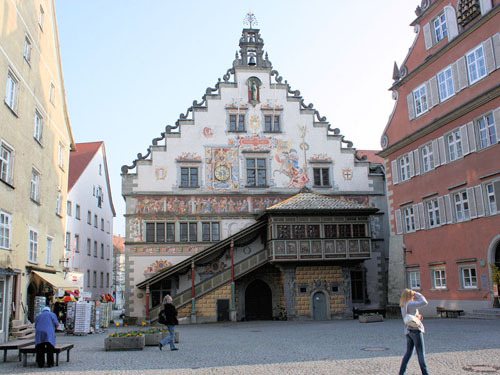 The town hall was built in the Gothic style in 1422 – 14 years lasted work on the impressive building. A few decades later, the building underwent one of its many historic moments: Maximilian I appointed in 1496 to the Reichstag in the wood-paneled Council Chamber. 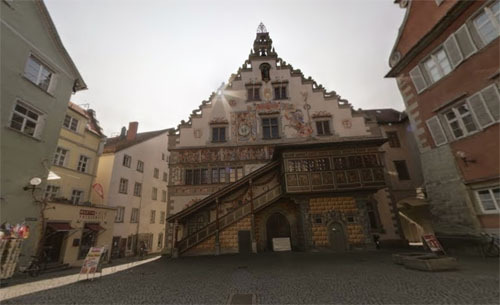 In July 1655 was the first time the Lindauer children’s festival at the town hall – the foundation stone of a wonderful tradition that still endures: Festive dressed girls and boys from all over the city draw with flags and music to the Old Town Hall to cheers Lindau leave. In addition to Butsch Ellen, a traditional sweet pastry, the children will also get vouchers for the subsequently occurring festival paid – and every year it seems that radiate the venerable town hall while the girls and boys around the bet. Significantly less harmonious it went to 1930, when the building’s facade should be redesigned. For years there have been discussions about the funding and the desired images, and had ultimately completed when the artist Wilhelm Nida-Rümelin his work, it came to a head: In addition to farmers, fishermen, a sea monster and the traditional linden trees Nida-Rümelin had also mapped a Totentanz : the battle between heaven and earth – symbolized by a skeleton and a young, naked woman! Such a showy display of eroticism was unacceptable was the Bavarian People’s Party, and demanded the immediate removal of the paint. Whether this appeal was successful? Just look even after! And do not forget the back of the building is not: to the south you will find further pictures friezes and a historical sundial and the entrance to the kingdom Formerly Municipal Library (ERB). Similarly, if you’re wondering what it probably has the “Herald bay” at the Old Town Hall to be here, we have the answer: From the Herald bay from informed to earlier times, the city leaders to their citizens about decisions and new regulations. And today is reminiscent of the bay to the fundamental Christian values: On its screens the Ten Commandments are depicted. The rooms of the Old Town Hall are still regularly used for meetings of the city council and the committees as well as receptions. More information on www.lindau-tourismus.de, en.wikipedia.org and elvendrell.net.